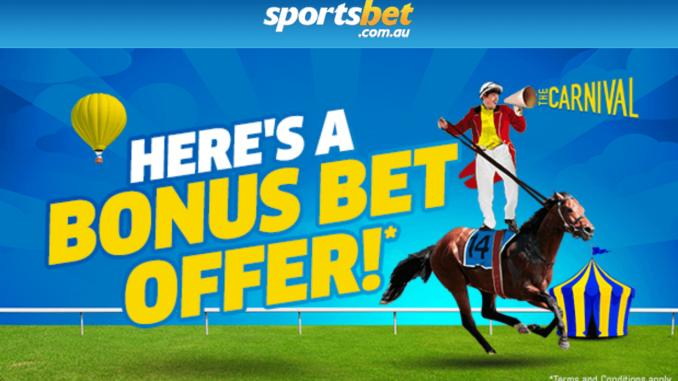 Home / Bookies / What are bonus bets at online Australian bookmakers and how to redeem them? Horse racing is one such sport that Aussie love to bet on. 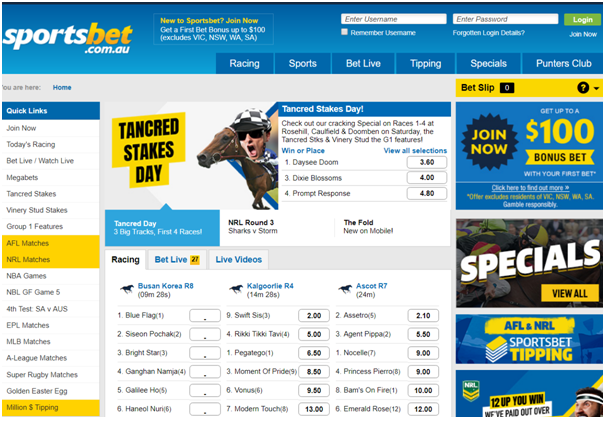 Whether it’s TAB races or at the various online sports betting sites, Aussie punters find many types of bets to claim. One of the popular bets are free bets or also known as bonus bets. 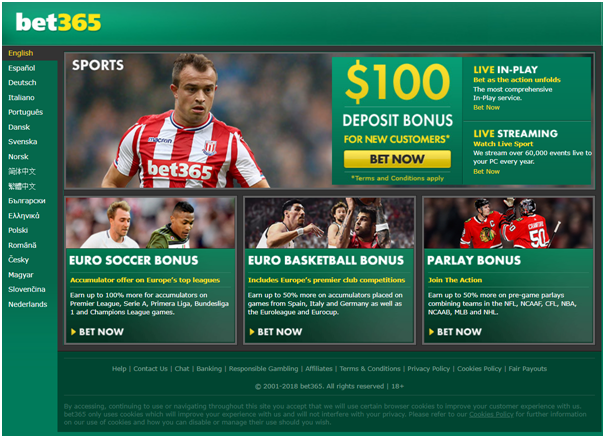 Bonus bets are those bets that are offered by many online sports betting sites or bookmakers and usually come in the form of matched deposits and in some cases a straight up freebet. As in match deposits suppose you sign up at a bookmaker you will often see “Get $500 free” or “Get $700 free”. This can be misleading because of the previously mentioned laws. What it really means is you can deposit up to $700 and they will match the offer with the same amount. Note that the New South Wales, South Australia and Western Australian government have outlawed the ability of bookmakers to offer inducements to sign-up, so you might not immediately receive the offer but if you join you will be given the option in an email soon after. As in Freebets these refer to freebets about matched deposits, as talked about above. Although most bookies are now running VIP programs where a member of their staff will contact high value, or inactive players, and offer them a straight up free bet as a way to get them to bet with them again. How to use your bonus bet? Most Bonuses are instantaneous – this means that as soon as all the Terms and Conditions are met the Bonus Bet will automatically appear in your account. You can check if you’ve received your Bonus Bet by looking at the top of your sports betting online/bookmaker online/Sports Casino online screen next to your balance. Bonus Bet stakes are not returned in any winnings, if your Bonus Bet is a winner you will only receive the profit of your Bet. Your Bonus Bet can generally be used on any sport or race, unless otherwise specified. You need to allow up to 48 hours for the Bonus Bet to appear in your account. If you have received a Bonus Bet, the Bonus Bet will be visible in your Account under “Bonus Bets”. To redeem the Bonus Bet, when logged into your Account, you must select ‘Bonus Bet’ from within the bet slip before placing your bet or, if available under the terms of the Offer, call Customer Service and confirm you wish to use your Bonus Bet. 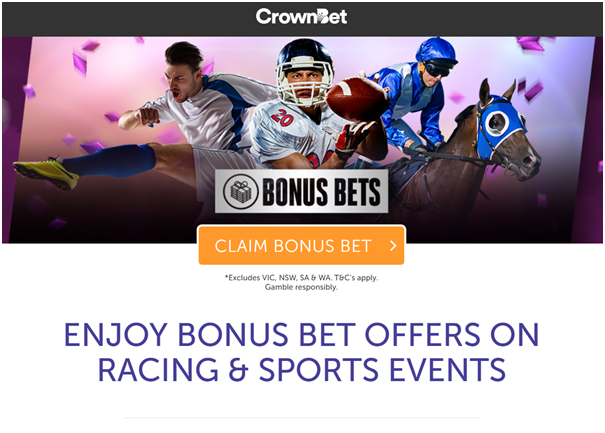 At Crown bet Bonus Bets are a single use amount of a fixed value (eg: 1 x $20 single bonus bet). Keep in mind, the original Bonus Bet stake is not returned with your winnings (eg. 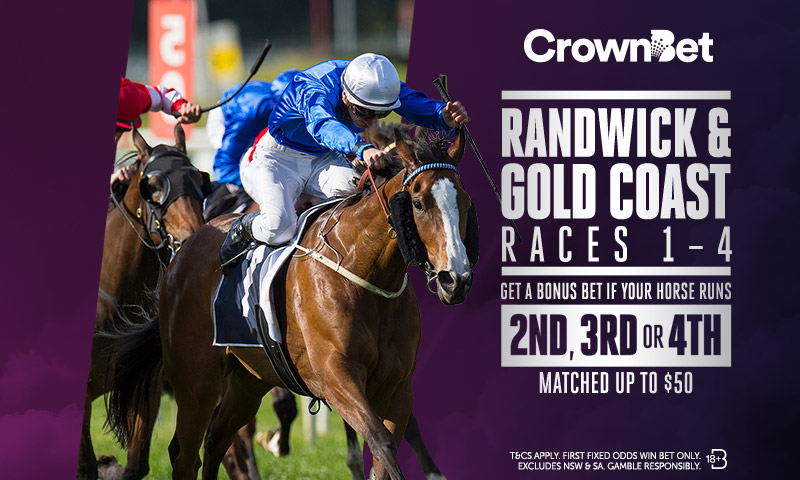 a $20 Bonus Bet at odds of $5 returns you $80 in winnings). You do keep the winnings and before withdrawing you will need to turn over any Bonus Bet winnings once at odds of $1.50 or more. Remember when you use the Crown bet App to click the Stake box to display your bonus bet on the betslip. Otherwise Login to your account. Select the market then the selection that you wish to bet on. Click on the green ‘use your bonus bet button’ on the bet slip. If you select to use your bonus bet, the stake box will display the bonus bet amount. Select the ‘Place Bets’ button. Finally, click on ‘Confirm’ and your bet will be placed. Click here to claim your bonus bet. Ask the customer support if you face any issue. 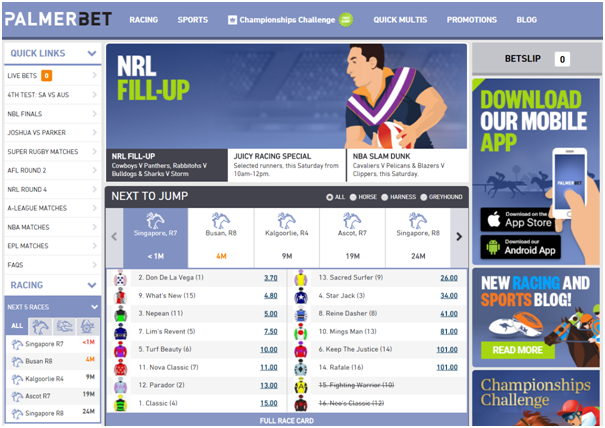 At Sports bet Bonus bet is offered to members who are Australian or New Zealand residents and capable of viewing publicly available Sportsbet promotional advertising material; and Members who receive an Offer that is specifically addressed to that Member and the Offer is only available to and capable of being redeemed by that Member. Backed by the NSW bookies association and has a great range of horse racing markets, including a comprehensive section on futures. Gives new customers up to $250 in bonus bets. Click here to claim bonus bet with this bookie. Bet365 global bookie that has markets on every major horse race around the globe, including futures and exotics on all major Australian races. They will also offer a greater selection of futures than many of their competitors. To bet on a single selection, make your choice from the sports navigation and then choose your market. Select the price you wish to take, this automatically adds your selection to the Bet Slip. Once on the Bet Slip you can enter the stake you wish to risk. If your selection is correct, select Place Bet. Ask the customer support for any bonus bet. 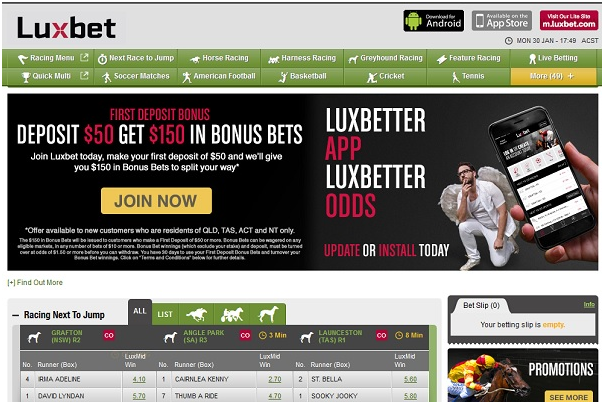 Luxbet is backed by the TAB and has a good reputation. Will often have specials on major Aussie racing meetings. Sign-up bonus can be anywhere from $250 to $700. On My Account Page, click ‘Enter Promo Code’ button Enter promo code, click add. Always remember to read the bonus terms and conditions before using any bonus bet or other bonuses at sports betting sites. As there are wagering requirements or restrictions a bookie places on a bonus offer to stop a bettor gaming the system and simply withdrawing the money without betting it. Different bookmakers and bonus offers will have different restrictions placed on them and if they are too stringent we won’t push the offer on this site. You can find that wagering requirement might be like if a punter has a $10 bonus bet and wins on a 10-1 shot they will be given $90 back, with the initial stake taken out of the winnings. Or sometimes a bookie might place another restriction on the winning amount. For instance a 5x wagering requirement might be placed on any winnings you might make. So if you win $50 from a bonus bet, you will be required to wager that money five more times before you can withdraw it, for a total of $250 worth of wagers. Also remember it’s not only horse races that online bookies offer you to bet but have hundreds of different sports and events to wager bookie bonuses on. Now enjoy at any of the above sportsbetting sites which are all legal as these bookmakers are licensed in Australia. It is a regulated industry and the government taxes the betting sites who are licensed in this jurisdiction. 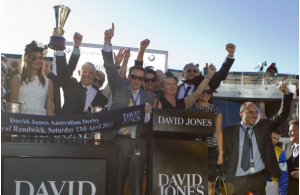 Inducements like freebets were changed to bonus bets and came with a new set of guidelines, but for most online bookies operating in Australia it just meant finding new, legal ways to give us plenty of value. Australians are not legally able to wager at offshore bookmakers, although many people do for varying reasons, including the fact many Australian betting websites will cut off successful punters. Also online offshore casinos or bookies like Rich Casino and various others offer Bitcoins as deposit mode making things easier for Aussie punters to place their bets on sports.